2. 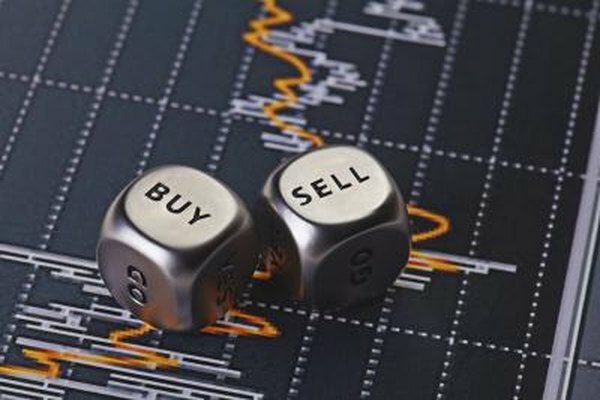 Do Brokers Charge to Sell Stock? 3. What Is LTP in the Stock Market? While publicly traded corporate shares are sold on the major stock exchanges, such as the New York Stock Exchange or Nasdaq, stocks in privately held companies require different means to trade. Secondary markets exist to bring sellers and buyers of privately held stock together, or you can advertise the stock yourself. However, just because such a sale is private does not release you from certain securities laws. Selling shares of private stock means you will need to find a buyer. Buyers for your private offering won't be as readily available as for publicly-traded stocks, in which the shares have a market price and a demand. Secondary markets present your shares to other types of buyers -- investors looking beyond the traditional markets, such as institutional investors or hedge-fund companies. Pricing privately held stock is a bit more of a challenge. With publicly traded stock, the market and supply-and-demand forces price the stock for you. Privately held stocks don't have this, so you must set your own price. Still, your price must be what an investor is willing to pay for the stock. Pricing can be set based on the initial investment of the company, divided by how many shares were issued at the time of the founding of the company. Pricing can also be based on the amount that the assets of the company are worth, divided by the number of outstanding shares. If you sell your privately held stock using a secondary market service, the service will create a form of agreement for the transaction, and once both the buyer and seller digitally sign this agreement, it is a binding contract. The contract can include any terms, including restrictions, such as who can or can't buy the stock. The buyer deposits the money for the purchase into an escrow account with a bank, and the seller provides proof that he actually owns the shares of stock. Once both parties are satisfied with the details of the transaction being met, the money is transferred to the seller, and the shares are transferred to the buyer. While private-stock transactions are often exempt from the registration requirements of the Securities and Exchange Commission, other legal provisions exist that apply to all securities transactions, public and private. Anti-fraud provisions require that you must be truthful in statements made about your company and the stock that you are selling. If you make inaccurate or misleading statements, the SEC can pursue civil, criminal and administrative action against you.